Al-Salam Hospital in Khamer, Amran governorate, where MSF operates. 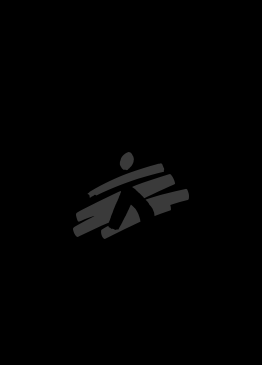 Médecins Sans Frontières (MSF) was forced to withdraw its team on Wednesday 31 July from Al-Salam Hospital in Khamer, Amran governorate, in the North of Yemen, after an escalation of violent attacks against its personnel and facilities. The withdrawal took place after MSF staff received death threats related to a tribal dispute, but this was not an isolated incident. In the last five months MSF has registered 18 different incidences of violence against its team in Amran, including threats and physical assaults on doctors and staff, the ambushing and hijacking of vehicles and ambulances, and shootings at or around the hospital. MSF is calling upon all actors in Yemen to respect the safety of medical facilities and personnel, and not to involve medical actors as bargaining tools in personal disputes, so that the provision of medical care is not affected. International and tribal laws should be respected, allowing hospitals to be safe havens, rather than using their presence in an area as an opportunity to claim resources or gain power. Following negotiations with local leaders, MSF will be resuming its medical and surgical services to the population of Khamer and Amran governorate. “We call upon Yemeni authorities and tribal leaders to do their utmost to resolve disputes and to protect doctors, hospitals and the population in need, from further assaults,” Thierry Durand added. MSF is running a global campaign to promote the protection of medical aid around the world. In Yemen alone, MSF has registered 46 violence-related incidents against its staff and facilities since April 2010. In March 2013, MSF brought stakeholders together in a campaign on the protection of medical action in Yemen, in collaboration with the Ministry of Public Health and Population, aimed at addressing the worrying levels of violence in and around healthcare facilities.